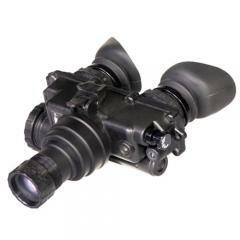 ATN NVGOPVS7H0 PVS7-HPT Night Vision Goggles FREE SHIPPING! Crime does not stop just because the lights go out, so neither can our law enforcement operations. The new PVS7-HPT Night Vision Goggles from ATN are a versatile, high-performance night vision system optimized for tactical and military applications. Powerful internal image intensifiers and multi-coated optics combine to maximize all available light and convert it into highly visible images. User-friendly digital controls and automatic brightness regulators ensure optimal clarity of projected images, regardless of external conditions. When no ambient light is available, a built-in infrared illuminator provides the visibility needed to read maps and effectively maneuver through dark environments with ease. The robust, waterproof construction of the PVS7-HPT Goggles offer reliable durability essential to handling extreme environments and changing elemental conditions inherent of tactical mission work. ©2002-2019 CopsPlus.com: ATN NVGOPVS7H0 PVS7-HPT Night Vision Goggles FREE SHIPPING!